Trollsylvania is a land of many parts. 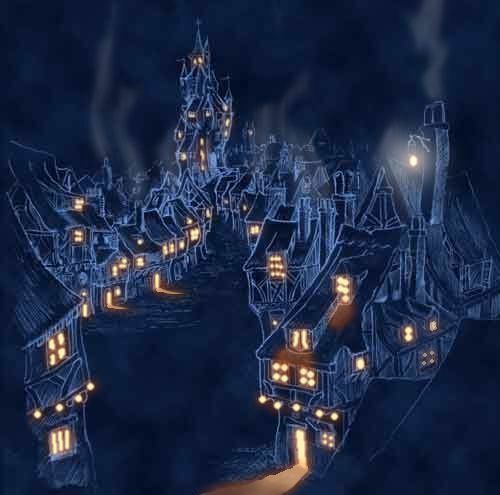 Trollsylvania's largest town and capital - Tromhiem - lies at the centre of the kingdom like a hot pie in a dish of custard. The delicately cobbled main street rises steadily from the town gate, passing the many busy shops and inns as it climbs towards the imposing edifice of Kings castle. Then at the last minute the road turns away from the drawbridge, as if it has suddenly changed it’s mind and gone off in search of a more welcoming building. Here, around the square stand the civic buildings of Tromheim, the Royal Bank, the Royal Post Office and a building in which resides what passes for the Trollsylvanian Civil Service. These grand and imposing architectural miracles are casually interspersed with a variety of hotels, waiting to greet visitors with varying degrees of welcome.